There are many loan providers in Nigeria that you can just apply through their website and the loan process will start once you are eligible to secure a loan from them without visiting their offices and headquarters before your loan can be granted and some of them even have mobile app that you can just install and use to process your loan. Before we proceed I want to tell you that getting a loan in Nigeria is very risky because their interest rate is so high that you might find it hard paying back. Only go for a loan when you don't have any option left because you might end up paying half or x2 of the amount you borrowed especially when the loan is a long-term loan. Now we are back to business and if you believe that getting a loan is the last option left then below are the new website in Nigeria where you can apply for a loan online, no collateral or guarantor required but there are other requirements for income & statement of account to know if the amount you earn is enough for the loan repayments. Without wasting any more time, below are the 5 Nigerian websites where you can apply for a loan online without collateral. These loans are for salaried workers and non-salaried entrepreneurs.Disbursement is within 24hrs after submitting complete documentation. In partnership with NYSC, We now cater for the financial needs of the Youth Corps Members while in service to our great country – Nigeria. Paylater made their services easier with their professional designed mobile app that was designed to make the loan process faster and easier. To Apply for a Paylater loan all you need is to download their mobile app and fill the required information, then you are good to go. QuickCheck is similar with Paylater and is a modern lending platform for individuals and small businesses. QuickCheck uses mobile technology to enable individuals and small businesses gain access to financial credit. To apply for a loan you need to download their app from Google play store if you are using an Android phone, install and fill the required information and submit your loan application. Creditville Limited is an asset management company and a private lending institution registered in Nigeria. Creditville target customer base includes individuals on paid employment and SMEs in Nigeria. Creditville operates as a viable institution by hinging its services and operations on global best practices. Payday Loan offers between NGN 250,000.00 to NGN 2,000,000.00 for persons in paid employment. Interest portion is on a reducing balance basis (rbb). Business Loan offers between 250,000.00 to 1,500,000.00 for business owners and self-employed individuals. Interest portion is on a reducing balance basis (rbb). 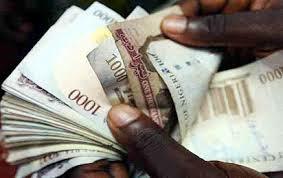 If you have any question to regarding getting a loan in Nigeria then feel free to reply with comment.